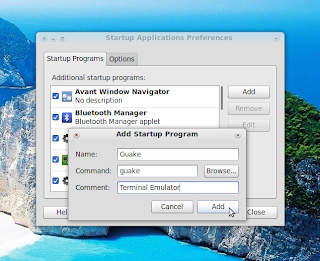 For those who are used to using Terminal quite regularly, launching/loading the gnome-terminal from the menu or even using a keyboard shortcut can be a bit time consuming. That is when Guake comes in handy. And certain features like faster loading speed (actually it is preloaded), transparency and tabbed Terminals make it an even cool app. 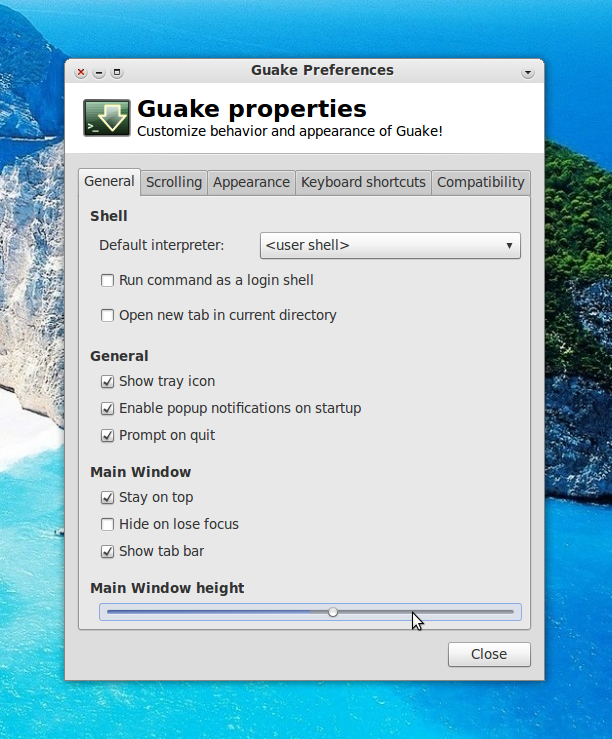 Once installed, you can find it under Applications > Accessories > Guake in Gnome or by searching the Dash for 'Guake' in Unity. When Guake is running, right click the Guake icon in notification area and choose 'Preferences' to gain access to the preferences dialog. We would only discuss a few basic features here. You can change the Guake window height under the 'General' tab. 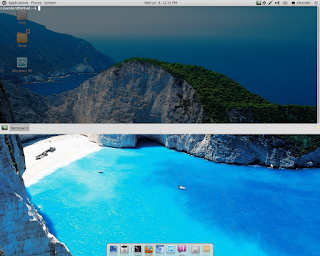 Fonts and transparency can be tweaked under the 'Appearance' tab. 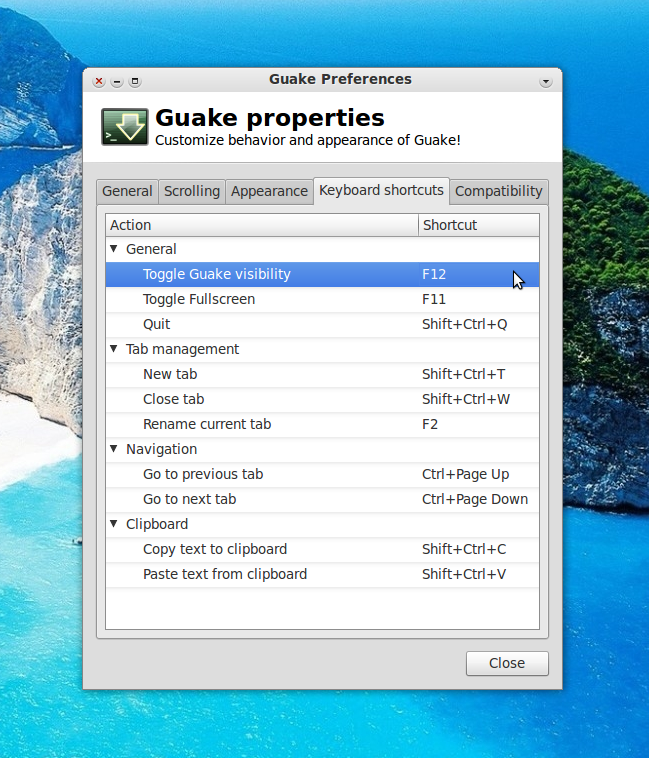 The default key for show/hide Guake is 'F12' and the shortcut for opening a new Terminal tab is 'Shift + Ctrl + T'. 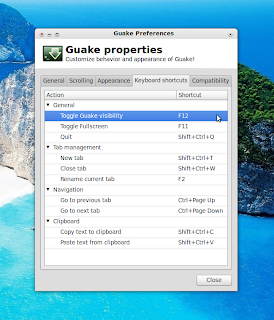 You can change these under the 'Keyboard Shortcuts' tab. 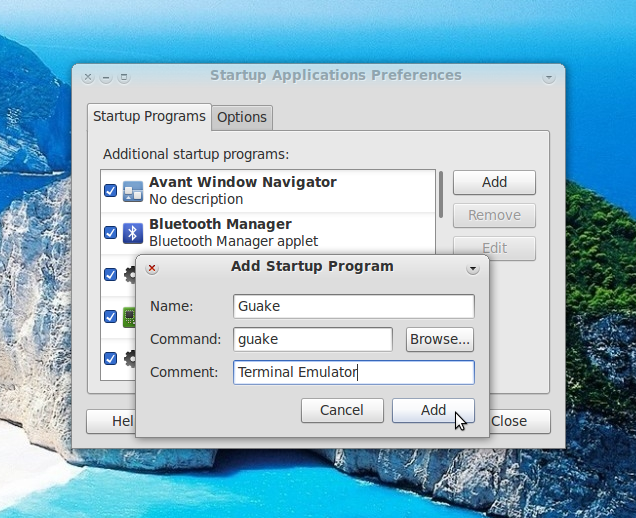 If you want to run Guake automatically when you boot your PC, go to System > Preferences > Startup Applications in Gnome or search the Dash for 'Startup Applications' if using Unity. Click the 'Add' button and follow the screenshot below. 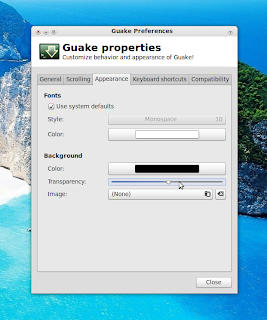 While launching Guake for the first time, I hit this error. And then, Guake should be able to run successfully. A few more problems/solutions are listed here.